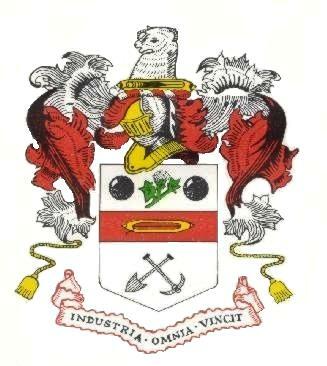 Morley Town Council was established in 2000. There are seven wards represented – Central, Churwell, Elmfield, Scatcherd, Teale, Topcliffe and Woodkirk. There are 26 elected members representing these wards. A full schedule of Council and Committee meeting dates can be found on the Meetings page, and details of the five separate Standing Committees can be found in the ‘Committees’ section. The Agenda for the next full Council meeting is below. A copy of the latest Annual Report for the Municipal Year 20th May 2016 to 9th May 2017, together with previous years’ Annual Reports can be downloaded in the ‘Public Information’ section. A copy of the ‘Statement of Accounts‘, the ‘Notice of conclusion of audit’, the ‘Annual Governance Statement’, the ‘Accounting statements 2016/17’ and the ‘External auditor certificate and report for 2016/17’ is available using this link. 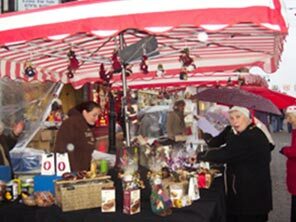 The original Annual Return can be inspected by contacting the Town Clerk. In the absence of the Town Clerk and Deputy Town Clerk, Councillor J Harrison took the minutes. C Bell (Mayoress) and 1 member of the public also attended. Apologies were received from Cllrs R Gettings, A Hutchison and C Taylor. Reasons given were noted. The Mayor had visited the primary schools for their Christmas performances, plays and nativities. The ‘Mayoress at Home’ will be held on Saturday, 16 March 2019. 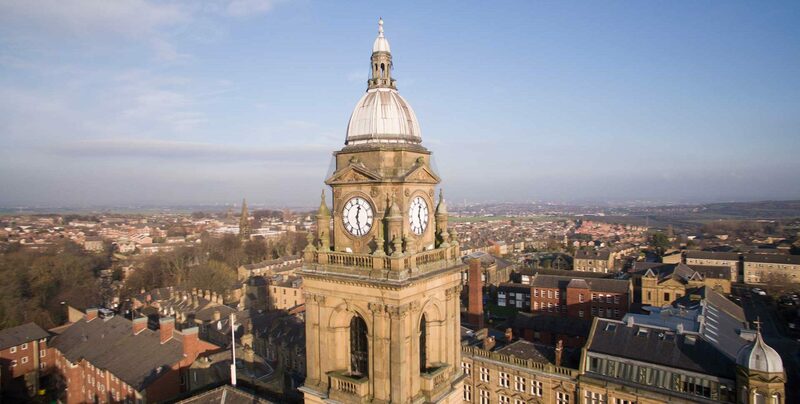 The Mayor’s Ball will be held on Saturday, 13 April 2019 in Morley Town Hall. The Mayor also congratulated Councillor Shirley Varley on her becoming an Alderman of Leeds. Cllrs J Elliott and W Kidger declared an ‘other’ interest relating to any appropriate LCC items, as they are all Ward members. Cllr S Varley declared an ‘other’ interest as an Alderman of Leeds. The ‘draft’ Minutes of Full Council meeting held on 7th November 2018 were received and noted. The Minutes of Finance, General Purposes & Strategic Committee meeting held on 28/11/18 and the ‘draft’ minutes of the meeting held on 2/1/19 were received and noted. The ‘draft’ Minutes of Planning Committee meeting held on 27/11/18 were received and noted. The ‘draft’ Minutes of Highways and Transportation Committee meeting held on 14/11/18 were received and noted. The ‘draft’ Minutes of Community Development Committee meeting held on 8/11/18 were received and noted. The ‘draft’ Minutes of Audit Committee meeting held on 7/12/18 were received and noted. (ii) £2,000 to cover the relevant Legal costs. The above items of additional funding for the Morley Business Improvement District were proposed and agreed. The Budgets for 2019/20 were proposed and agreed. The Precept of £204,379 for 2019/20 was proposed and agreed. The ‘anticipated’ Local Council Tax Support Grant of £12,441 was noted. Cllr McGarroch gave a verbal report on this item. 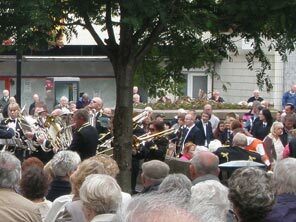 The initiative had been embraced by the Churches Together, Morley Town Council, local businesses and political parties. An outreach programme will be ‘rolled out’ to local schools and the press coverage on the initiative had been positive. Cllr McGarroch called on the Council to approve the achievement to date and continue their support. Cllr R Finnigan proposed a vote of thanks for the work done. Cllr J Aveyard informed members the new boundary signs would support the initiative by the inclusion of “An Independent Fairtrade Town” word on the new signs. The date of the next meeting was agreed to be held on Wednesday, 6th March 2019. The Chairman requested members present observe a ‘minute’s silence’ in memory of Frank Tighe (former Mayor of Morley), Irene Morley and Tony Elliott. N Bullock, and C Windle. Cllr T Leadley (Morley North, LCC), C Bell (Mayoress), W Maynard-Light (Deputy Town Clerk) and 2 members of the public also attended. Apologies were received from Cllrs D Marshall, J Harrison and J Foley. Reasons given were noted. Cllrs A Hutchison, R Gettings J Elliott and W Kidger declared an ‘other’ interest relating to any appropriate LCC items, as they are all Ward members. The minutes of the Full Council Meeting held on 4th July 2018 were agreed as a true and correct record. The Minutes of Finance, General Purposes & Strategic Committee meeting held on 18th July 2018 and the ‘draft’ minutes of the meeting held on 17th October 2018 were received and noted. The minutes of the Planning Committee meeting held on 17th July 2018 and ‘draft minutes of the meeting held on 16th October 2018 were received and noted. The minutes of the Highways and Transportation Committee meeting held on 25th July 2018, Minutes of Extraordinary meeting held on 1st August 2018, Minutes of the meeting held on 12th September 2018 and ‘draft’ Minutes of meeting held on 10th October 2018 were received and noted. The minutes of the Community Development Committee meeting held on 13th September 2018 and ‘draft’ Minutes of meeting held on 4th October 2018 were received and noted. The appointment of Councillor Julian Rodley to the Community Development Committee was ratified. The amended standing orders were approved and accepted. The audited annual return for financial year ending 31st March 2018 was approved and accepted. Cllr Finnigan advised members the Staffing Sub-Committee held a meeting, where it was agreed that in view of the fact that Town Clerk’s earliest return to work would be the end of January 2019, additional staffing would be provided by Pat May (Clerk to Gildersome Parish Council) on an ‘as and when required’ basis and the salary of the Deputy Town Clerk’s salary should reflect the increase in responsibility and workload from the date the Town Clerk’s sickness period commenced. The date of the next meeting was agreed to be held on Wednesday, 9th January 2019. In the absence of the Mayor, Cllr R Bell, the Deputy Mayor, Cllr L Beever chaired the meeting. J Rodley, J Elliott and W Kidger. Cllr T Leadley (Morley North, LCC), K Oakley – Town Clerk, W Maynard-Light – Deputy Town Clerk and 2 members of the public also attended. Apologies were received from Councillors R Bell, S Varley and H Evans. The minutes of the Extraordinary Full Council Meeting held on 6th June 2018 were agreed as a true and correct record. The Minutes of Finance, General Purposes & Strategic Committee meeting held on 23rd May 2018 were received and noted. 27th June 2018 were received and noted. Following a discussion, this expenditure was agreed. Minute 18(ii) – To consider and approve expenditure of £6,000.00 re. improvement works to grass verges on Dewsbury Road, Tingley. As the work has already been completed, this is considered retrospective, however, the above item of CIL expenditure was supported, but will require ratification by Full Council. Following a lengthy discussion, this item was put to the vote and a recorded vote was requested. Therefore, this item of expenditure was agreed. The minutes of the Planning Committee meeting held on 29th May 2018 and ‘draft minutes of the meeting held on 19th June 2018 were received and noted. The minutes of the Highways and Transportation Committee meeting held on 16th May 2018 and the ‘draft’ minutes of the meeting held on 20th June 2018 were received and noted. The minutes of the Community Development Committee meeting held on 3rd May 2018 and the ‘draft’ minutes of the meeting held on 7th June 2018 were received and noted. The Town Council’s Press and Media Policy was reviewed and noted. The ‘draft’ Records Management Policy was approved and agreed. (i) Email dated 3/7/18 from YLCA. C Windle, N Bullock, A Dalton, C Hill, S McGarroch and D Harrison. Cllrs A Hutchison and J Elliott declared an ‘other’ interest, in any appropriate items as Leeds City Council Ward Members. Copies of the ‘draft’ revised Model Standing Orders had been distributed to members. A question was asked regarding standing order 25; the Town Clerk undertook to clarify this with YLCA and report back to the next meeting. It was proposed and agreed to adopt Model Standing Orders 2018 (England). The Minutes of the Audit Committee meeting held on 8th May 2018 were received and noted. The information contained in the Annual Internal Control Review for 2017/18 was considered, received and noted. 31st March 2018. Questions 1-8 were to be answered ‘yes’, question 9 is N/A. (iii) Ensure the Accounting Statements are signed and dated by the Chairman of this meeting. This was done following the meeting. The Town Clerk suggested that this item be deferred until costings were available from YLCA re. the provision of a DPO Service. The document distributed was proposed and agreed. It was proposed and agreed that the above forms (a) to (d) be used by Morley Town Council. The next scheduled Full Council meeting will take place on Wednesday, 4th July 2018. C Windle, J Jackson, C Hill, A Dalton, D Marshall, W Whitehead, J Elliott and W Kidger. L Finnigan (Mayoress), C Bell (Deputy Mayoress), Cllr T Leadley (Morley North Ward, LCC), and a representative from the MPs office also attended. The Mayor requested volunteers for the Schools Music Festival, 24/3/18. 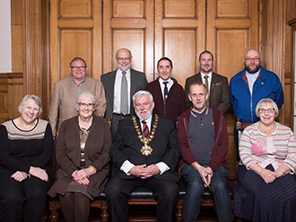 The Mayor extended his thanks to the Mayoress, Deputy Mayoress and the Clerks for a successful Mayoress “At Home” 27/1/18, raising over £1,000 for the Mayor’s charities. The Mayor’s annual dinner will be held on Saturday, 14/4/18 at Thornfield House, Bruntcliffe Road. Cllrs R Finnigan, R Gettings J Elliott and S Varley declared an ‘other’ interest relating to any appropriate LCC items, as they are all Ward members. The minutes of the Full Council Meeting held on 17th January 2018 were agreed as a true and correct record. The ‘draft’ minutes of the Planning Committee meeting held on 20th January 2018 were received and noted. The ‘draft’ minutes of the Community Development Committee meeting held on 1st February 2018 were received and noted. 10th January 2018 and the ‘draft’ minutes of the meeting held on 14th February 2018 were received and noted. Cllr Gettings gave a verbal report on this item. Cllr Finnigan gave a verbal update and informed members the coffee morning would take place on Saturday, 10th March in St Mary’s, Morley. Cllr Finnigan gave a verbal update on this item. Cllr Hill offered contact details for Dementia training. J Harrison, S McGarroch, N Bullock, C Windle and A Dalton. L Finnigan (Mayoress), C Bell (Deputy Mayoress) and Cllr T Leadley (Morley North Ward, LCC), also attended. W Kidger and A Hutchison. The Mayor reported on his attendance at various events. The very best wishes of all members of the Town Council were expressed to Cllr N Dawson for his speedy recovery, and to Cllr D Marshall and his wife, Cynthia, who are both unwell. The minutes of the Full Council Meeting held on 1st November 2017 were agreed as a true and correct record. 30th November 2017 and ‘draft’ minutes of meeting held on 4th January 2018, were received and noted. The minutes of the Planning Committee meetings held on 21st November and 19th December 2017 and ‘draft’ minutes of meeting held on 9th January 2018 were received and noted. The minutes of Community Development Committee meeting held on 2nd November 2017 and ‘draft’ minutes of the meeting held on 4th January 2018 were received and noted. The minutes of the Highways & Transportation Committee meeting held on 15th November 2017 and the ‘draft’ minutes of Extraordinary meeting held on 19th December 2017 were received and noted. The ‘draft’ Minutes of the Audit Committee meeting held on 21st November 2017 were received and noted. Cllr R Finnigan is standing-in for Cllr N Dawson on the ‘Morley Fairtrade’ Steering Group, until Cllr Dawson is well enough to return. 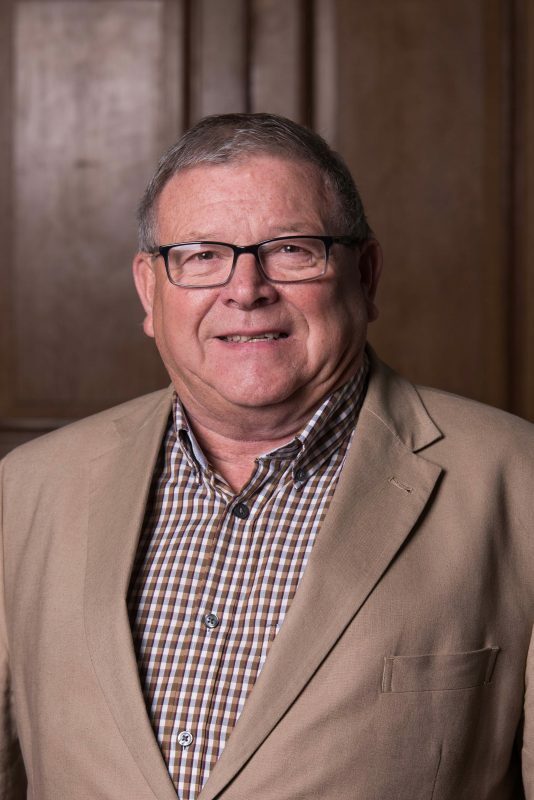 Cllr Finnigan reported on his recent attendance at a meeting and updated members on progress. Members had been provided with a ‘draft’ copy of the Agreement. It was proposed and agreed that the ‘draft’ letter be approved for signature on behalf of the Town Council. Budget information for 2018/19 had been sent to all members. The budget information, as distributed, was proposed, seconded and approved. A Precept of £204,379 for 2018/19, was agreed. The “anticipated” Local Council Tax support Grant of £13,479 for 2018/19 was noted. (i) Email 22/12/17 from YLCA, re. ‘Raising Awareness of the Potential for Bird Flu’ – copy attached. (ii) Email 22/12/17 from YLCA, re. ‘Application of Referendum Principles in the Next Three Years’ – copy attached. (iii) WRU p.4 – ‘Know Your Council’s Code of Conduct’ – see attached copy and attached Legal Topic Note (LTN) 80 issued in November 2012. The date of the next scheduled Full Council meeting is Wednesday, 7th March 2018 at 7pm. Present: Councillors R Finnigan (Mayor), R Gettings, S Kimberley, J Aveyard, A Hutchison, S Varley, J Sanders, W Whitehead, D Harrison, L Beever, H Evans, J Elliott, J Harrison, S McGarroch, D Marshall, J Jackson, C Windle, A Dalton, N Bullock (late arrival) and W Kidger (late arrival). K Oakley – Town Clerk and W Maynard-Light – Deputy Town Clerk also attended. Apologies were received from Councillors C Taylor, R Bell, A Rhodes and N Dawson. The Mayor reported on his attendance at various events. Cllrs N Bullock and W Kidger arrived at this point. Cllr A Dalton declared a ‘pecuniary’ interest in agenda item 8 – Community Development Committee meeting minutes of 5th October 2017, as he is a member of the applicant organisation. Cllrs S Kimberley, A Hutchison, S Varley, J Elliott and D Harrison declared an ‘other’ interest in agenda item 8 – Community Development Committee meeting minutes of 5th October 2017, as they are all members of the RSSG. The minutes of the Full Council Meeting held on 6th September 2017 were agreed as a true and correct record. The minutes of the Finance, General Purposes & Strategic Committee meeting held on 21st September 2017 and ‘draft’ minutes of meeting held on 19th October 2017, were received and noted. Members to consider and agree item, as per attached report from Town Clerk re. expenditure in respect of proposed Arts Space. It was agreed that the £25,000 contribution towards the proposed Arts Space be taken from 2017/18 Reserves and not the ‘Major Projects’ budget, as previously agreed. It was agreed that an additional grant of £2,000 be given to the Royal Society of St George from Reserves in the 2017/18 financial year. The minutes of the Planning Committee meeting held on 19th September 2017 and ‘draft’ minutes of meeting held on 17th October 2017 were received and noted. The minutes of Community Development Committee meeting held on 7th September 2017 and ‘draft’ minutes of the meeting held on 5th October 2017 were received and noted. The minutes of the Highways & Transportation Committee meeting held on 13th September 2017 and the ‘draft’ minutes of meeting held on 11th October 2017 were received and noted. The information contained in a report from the Town Council re. Enforcement Officer and associated expenditure, was noted. The date of the next scheduled Full Council meeting is Wednesday, 17th January 2018 at 7pm. Present: Councillors R Finnigan (Mayor), R Gettings, S Kimberley, J Aveyard, S Varley, J Sanders, W Whitehead, L Beever, R Bell, J Elliott, W Kidger, S McGarroch, D Marshall, J Jackson, N Bullock, D Harrison, H Bell, N Dawson, C Windle and A Dalton. 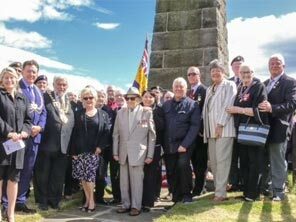 K Oakley – Town Clerk, W Maynard-Light – Deputy Town Clerk and Cllr T Leadley (Morley North ward) also attended. Apologies were received from Councillors H Evans, J Harrison, A Rhodes and A Foster. Cllrs R Finnigan, R Gettings J Elliott, N Dawson and S Varley declared an ‘other’ interest relating to any appropriate LCC items, as they are all ward members. R Kennedy attended and gave a short presentation on the Business Improvement District proposals and the situation regarding volunteers for Town Council events. The minutes of the Full Council Meeting held on 5th July 2017 were agreed as a true and correct record. A question was asked regarding Minute 5 (27/7/17) – Enforcement Officer. Cllr R Finnigan provided a verbal update and it is hoped that the position will commence on 1st October 2017. The minutes of the Finance, General Purposes & Strategic Committee meeting held on 29th June 2017 and ‘draft’ minutes of meeting held on 27th July 2017, were received and noted. The minutes of the Planning Committee meeting held on 18th May 2017 and ‘draft’ minutes of meeting held on 15th August 2017 were received and noted. Cllr Dawson pointed out that he attended the meeting held on 6th July 2017, but this is not recorded in the minutes. Subject to the above amendment, the ‘draft’ minutes of the Community Development Committee meeting held on 6th July 2017 were received and noted. The ‘draft’ minutes of the Highways & Transportation Committee meeting held on 19th July 2017 were received and noted. The Annual Return for financial year ending 31st March 2017, approved by PKF Littlejohn LLP, External Auditors, was noted. A report had been prepared and distributed by the Town Clerk, setting out a procedure for dealing with CIL expenditure. It was proposed and agreed that the Finance, General Purposes & Strategic Committee deals with the consideration of CIL expenditure, in accordance with existing Financial Regulations. In light of item 12 above, the ‘Committees’ Structure and Delegated Functions’ was reviewed, with an addition under ‘Finance, General Purposes & Strategic Committee’ relating to CIL expenditure. The ‘draft’ Annual Report for 2016/17 sent out to all members, was approved for distribution. The date of the next scheduled Full Council meeting is Wednesday, 1st November 2017 at 7pm.